When one artist climbs the side of the Riviera Theatre, the night’s a success. When two make the climb? It’s the A&O Blowout. 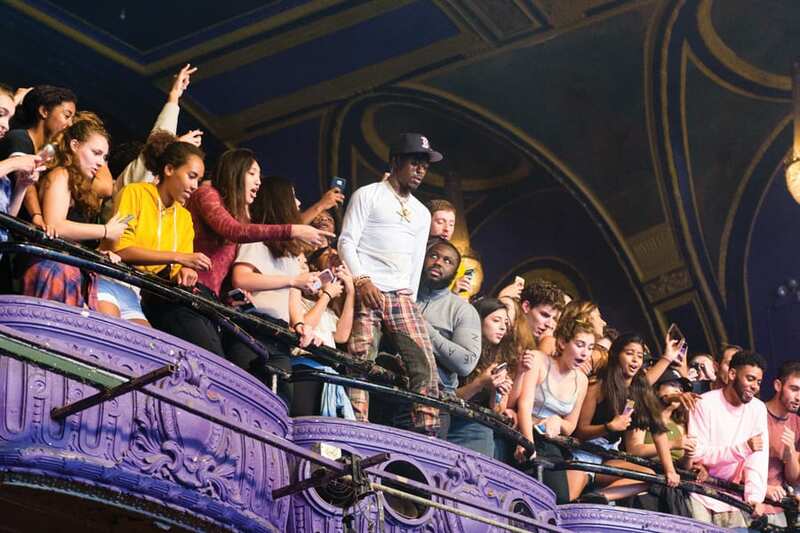 When I applied to Northwestern, I had no idea that I’d end up just feet away from one of my favorite artists — Lil Uzi Vert — as he climbs into a crowd of students, having just as much fun as they are. With a rap-idol of mine so close, who knew that I’d be able to crew that show as a member of A&O’s Street Team, helping the student committee with the marketing and producing of the show. 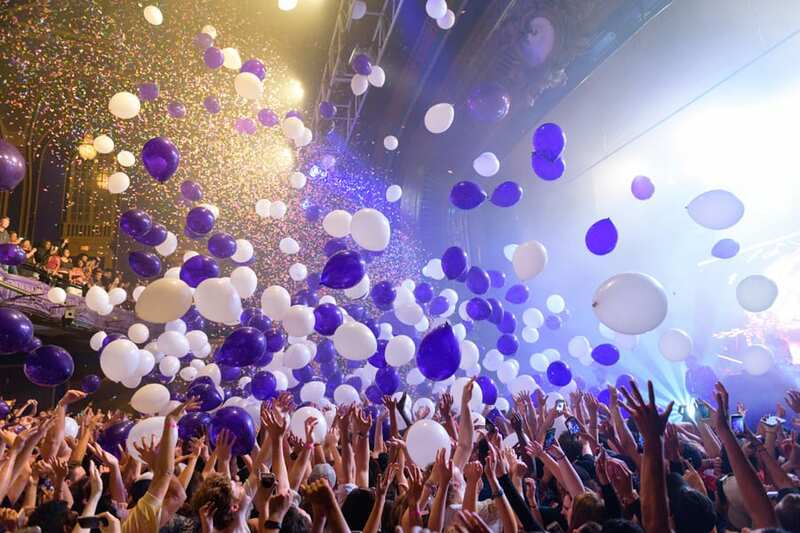 That show was A&O Blowout, the must-see campus concert A&O Productions puts on each fall open to all Northwestern students. I mean yes, “helping produce” may sometimes mean going on a bagel run or managing a rowdy bus of concert-bound students, but seeing how the gears turn and making sure a 1,500 person event is as successful as it is makes it all worth it. At $10 a ticket and free transportation, the event is as accessible as it is fun for as many people as possible, all while bringing big name artists to campus. Okay so this year, what happened? I saw MØ perform her hit single “Lean On.” She proceeded to climbing the walls of the Riv like a circus act gone oh-so-right. Then I watched as Lil Uzi Vert sprayed the crowd with a fire-extinguisher-fog-machine-thing and then, in due turn, climb the walls of the venue like he was the Philadelphia-raised Hip-Hop Spider-Man the world never knew it needed. Even though I ticketed the event for the first thirty minutes or so, I eventually took my perch in the upper deck of the Riv with the rest of my crew mates, all friends and familiar faces. But from the top level, I really got to see how special that night was for so many different people on campus. There were first-years, seniors, engineers, and athletes, all together to have a good time. It was truly an all-campus event, even if the wall-crawling rapper wasn’t on any of your playlists. It’s events like A&O Blowout that inspire me to get involved in the Northwestern community as best I can. If I enjoy nights like these so much, it’s the least I can do to help put them on and learn as much information from the other, more experienced students as I can. And while I’m at it, it might as well be set to the sweet harmonies of Lil Uzi Vert.